Puyallup has hundreds of restaurants with new ones constantly being added. There are so many options available. 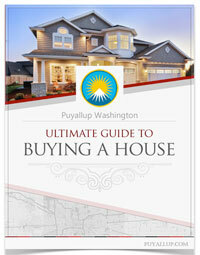 The South Hill area of Puyallup is a hot spot. You literally can find just about any type of restaurant. The great thing about Puyallup (compared to other cities) is that they are really close to each other. You won’t have to travel very far to get your grub on. Trapper’s Sushi is located in the Sunrise Village on South Hill. Trappers has quickly become a favorite to locals and visitors alike. This restaurant offers a variety of both traditional and modern sushi rolls. They offer an All You Can Eat Sushi deal for lunch and dinner daily. This restaurant is not only family friendly but is also includes bar and restaurant seating, and is a great location to catch a sports game while enjoying a delicious sushi roll and drink. The feature over 28 delicious and unique rolls but they also offer some more traditional Japanese fare like teriyaki and tempura. 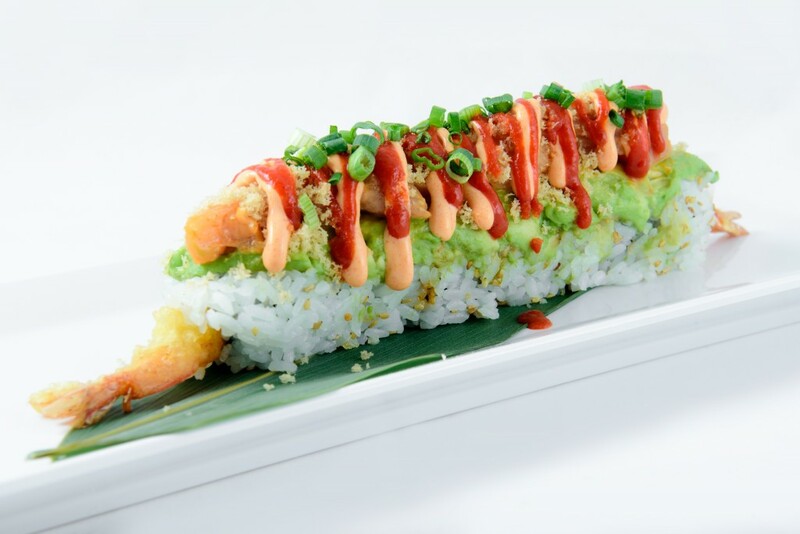 Their most popular rolls include the traditional spicy tuna roll and the unique Jimmy crunch roll. Their website offers an option for easy online ordering. Trapper’s has a loyal following and once you go, you may find yourself returning for another Jimmy roll. Mama Stortini’s offers Ita lian dining in a comfortable and inviting environment. Voted one of the best happy hours in the city of Puyallup, Mama Stortini’s happy hour is from 3pm until 6pm and 8:30pm until close on Tuesday, Wednesday, Thursday, Friday and Saturday. They feature their happy hour menu all day on Sunday and Monday. Mama Sortini’s offers full service catering for events of all sizes and types from the simple to elegant and from casual to formal. They cater at venues throughout the Puget Sound area, as well as private homes, parks and churches. They have in-house event planners that have extensive relationships with many specialty vendors in the area. They can coordinate with them or make recommendations for every detail from flowers to cakes, ice sculptures, DJs and live music, linens, china and audio visual equipment. 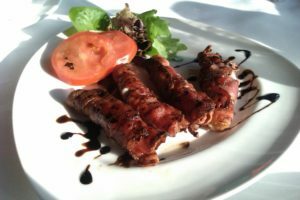 They have an extensive menu that includes a wide range of drinks, appetizers, Italian dishes, and desserts. The staff and service are extremely professional and accommodating, and will make sure you are taken care of during your time dining in. Crockett’s is located in historic downtown Puyallup was a feed store until owner Shaun Brobak turned it into a pub. Providing a family friendly, upbeat atmosphere with accommodating staff and excellent service, Crockett’s is sure to fit the bill for any night out. Whether it is a date night or a fun family dinner, Crockett’s made from scratch America food sourced from local ingredients is the perfect restaurant. Crockett’s was featured on Food Network’s popular show “Diners, Drive-ins and Dives” and the host Guy Fieri loved the Fire Grilled Artichokes with Calabrian aioli. He also enjoyed Mom’s Sloppy Joe with crispy fried onions and the Public House Meatballs topped with pistachios and Parmesan. They provide a menu with a wide variety of food choices from salads, pastas, and burgers. Drink favorites include their lavender lemonade and huckleberry vodka specialty drinks. Make sure to try their chicken and waffles! Crockett’s will not disappoint. 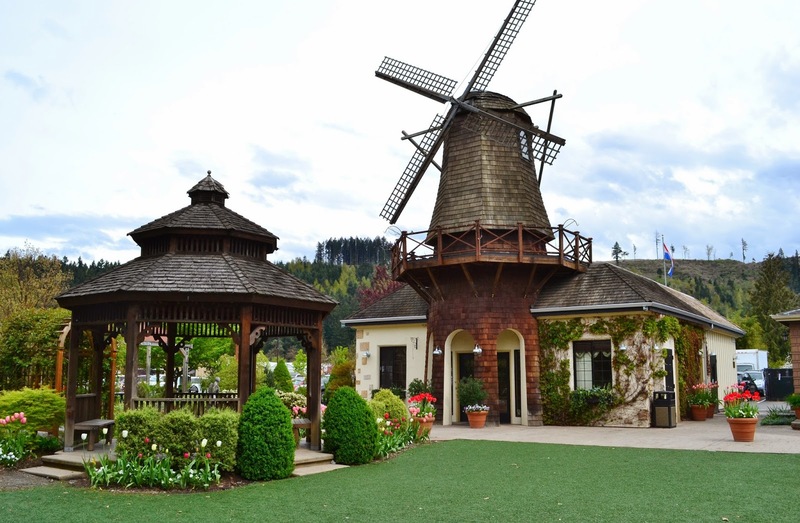 Located in the city of Sumner, a short ten minute drive from downtown Puyallup, you will find the unique gem that is the Windmill Bistro. If you are looking for a place with charm and quaint ambiance, look no further. 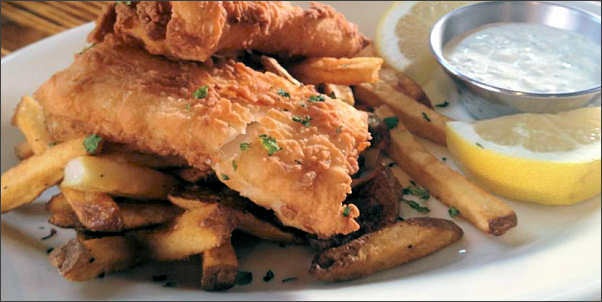 This casual Pacific Northwest restaurant located adjacent to the Windmill Gardens Nursery in Sumner, Washington offers a delicious menu that includes soups, salads, sandwiches, pastas, fish tacos, fish and chips, as well as a lengthy breakfast menu. The restaurant is very reasonably priced and also offers live music on certain Fridays during the month from 6pm until 8pm. The Windmill Bistro also can be rented out for private events and can accommodate up to 60 people. During the summer, there is a lovely outdoor seating where you will be surrounded by flowers and the greenery of the immaculately kept grounds of the adjacent nursery. You and your loved ones will surely enjoy a memorable dining experience at the Bistro. Toscano’s Italian Grill offers the best of Italian food in Puyallup. A consistent finalist in Evening Magazine’s Best in the Northwest contest, they have a wide selection of wine and spirits which are enjoyed at their popular cocktail hour. Their menu includes fresh seafood dishes and traditional Italian dishes that are the favorite amongst Puyallup residents. Their brunch is one of the best ways to spend your weekend as a family. Toscano’s popular and often sold out demonstration style cooking class and dinner is held approximately every other month. These classes, conducted by Executive Chef, Tom Pantley, cover a variety of cooking techniques and styles with the aim of helping you acquire the skills to better enjoy cooking for friends and family.They have patio seating and line up live music to create a relaxing and enjoyable dining experience. You will enjoy the intimacy and warm ambiance that Toscano’s offers. Chili Thai is a truly authentic Thai experience that is prefect for the whole family. 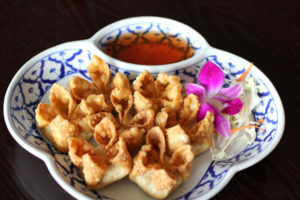 Since opening in 2002, Chili Thai has consistently provided the best quality authentic Thai food and service in the Puyallup area. The portions are filling and there are many items to choose from. This delicious choice for Thai classics like tom yum soup & ginger chicken, with a 50-seat banquet room has someting for everyone. You are greeted warmly by the staff upon entering and will be very well attended to throughout your meal. 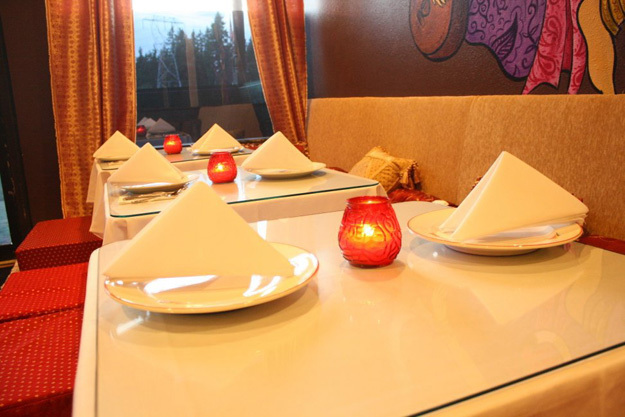 The restaurant has low lighting in the evening, contributing to a calm and enjoyable environment. You can also order their delicious food online. Their Thai food is delicious! 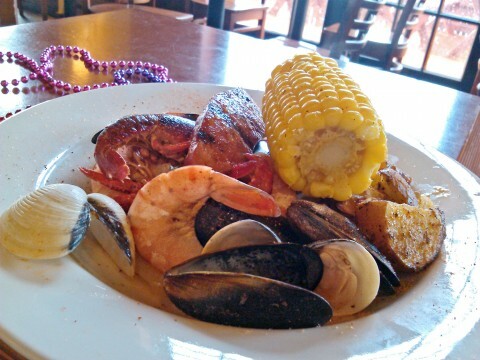 Bourbon Street Bar and Grill offers Cajun food in an intimate setting located in downtown Puyallup. This is one of the only Cajun resturants in the Pacific Northwest. The restaurant is the vision of Mike de Alwis, who learned about preparing and cooking Cajun cuisine while managing restaurants in Louisiana while attending college. The menu is very reasonably priced with entrees srating at $12. The resturant space is a converted gas station and is a very eclectic and the food is authentic New Orleans fare. The menu features favorites like jambalaya, gumbo, blackened seafood, and po’ boy sandwiches.If you enjoy spicy food their dishes will definitely appeal to you. The restaurant brings in live music and has a friendly staff. This is the place to be for an eclectic and entertaining evening. 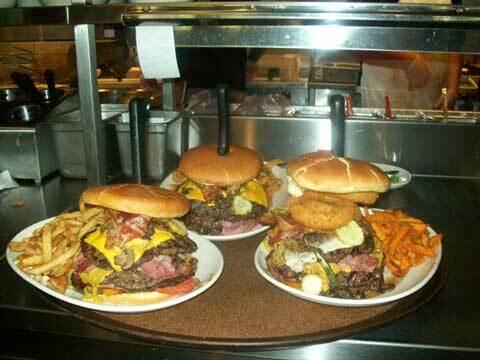 The Ram Restaurant offers a delicious array of America food. From tasty burgers, salads, pastas, and tacos, the quality and portion sizes will leave you satisfied and happy. Established in 1971, the Ram also features their own original and authentic beers that have won numerous awards at the Great American Beer Festival. This brewpub chain also has a great bar with lots of TV screens where it is easy to watch the game while enjoying your burger and beer. This relaxing restaurant is family friendly and great for a night out with the guys or gals. Don’t miss out on their mile high mud pie for dessert, it’s a must try for chocolate lovers. Arista, an Italian restaurant new to the downtown area is gaining popularity with locals and out-of-towners. Voted as one of the top ten restaurants on Trip Advisor in Puyallup, Arista Pasta makes fresh hand made pasta which is a rarity among Italian restaurants. Owner Benjamin Herreid got his beginning by selling handmade pasta at Proctor, Puyallup and Tacoma farmers markets. His fresh pasta was so popular that he decided to open a restaurant with his sister Margaret. 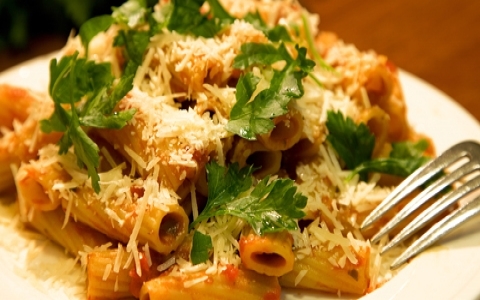 The menu includes freshly made pasta, delectable starters, salads, and classic Italian dishes. He also offers extremely tasty gluten-free pasta dishes for all those people who are unable to eat gluten. Arista is also known for their amazing handmade ravioli and customers should note that the restaurant closes for a few hours between lunch and dinner for the complicated ravioli process. Located in downtown Puyallup by the train tracks is Trackside Pizza. This traditional pizzaria features checkered table clothes and is known for their delicious and varied types of pizza, salads, and sandwiches. 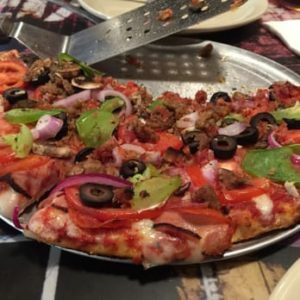 You can either make your own pizza or try Trackside’s own unique creations like the Chihuahua Al Pacifico or their most popular pizza the Grand Trunk Express. Customers can also order a gluten-free crust for their pizza. Trackside now has Happy Hour every Sunday through Friday, 2-5pm and 8-close where you can get half-priced appetizers and $1 off beers. Trackside also has take-out and delivery available. You might even hear and see a train pass by during dinner. This casual pizzaria is perfect for the whole family. 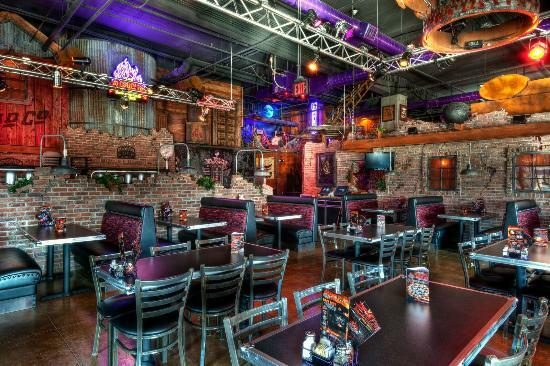 Locate d on South Hill, The Rock is a rock and rolled themed pizza place that is a great place to hit for an evening out. With a fun rock atmosphere and delicious hand tossed, wood-fired pizza, brews, and spirits, it’s great for a night out with family or friends. But for those who aren’t in the mood for pizza, The Rock offers delicious pasta dishes, burgers, sandwiches, salads and tons of gluten-free options. The creative cocktail menu has so many For those customers with kids, The Rock offers a full kids menu and even gives the kids some pizza dough to play with while waiting for their food to be served. Also be sure to check out their happy hour. If you are looking fo r a fun place to take the family, Red Robin is the place to go. This fun chain can be found all over the west coast and began in Seattle, Washington. In 1940, Sam’s Tavern opened near the University of Washington. Sam, the owner, is known to sing “When the Red, Red Robin (Comes Bob, Bob, Bobbin’ Along)” with his barbershop quartet. He loved the song so much that he changed the name to Sam’s Red Robin. 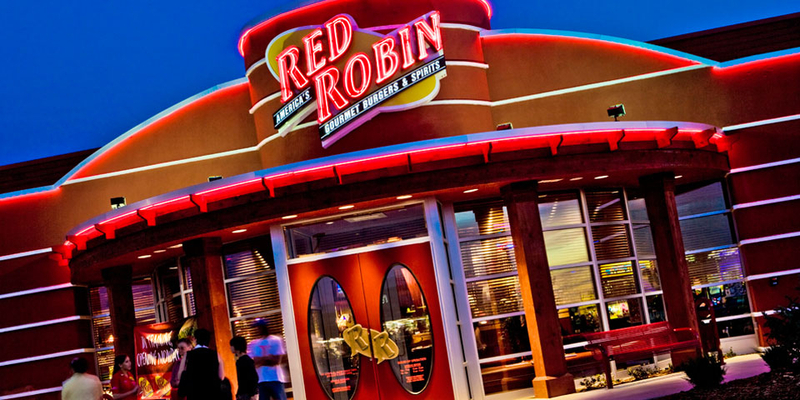 Red Robin is a colorful and family-friendly atmosphere with American classics and much more on the menu. The are known for their burgers but they have delicious pasta dishes, sandwiches, wraps, salads, soups, and much more.They have a great bar where you can catch the game while you enjoy a drink. There is also a lot of activities to help keep the kids entertained during dinner. With balloons, a small game area for kids, and coloring sheets, the festive main restaurant area is great for families. 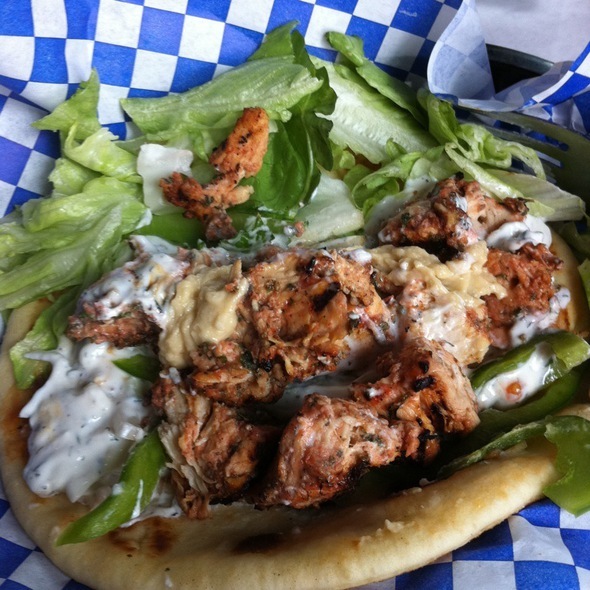 It’s Greek to Me is located in the heart of downtown Puyallup. Right next to the Pioneer Park and the Public library this cozy restaurant is a refreshing place to eat. Offering classic greek food, this restaurant focuses on providing fresh ingredients for their dishes. 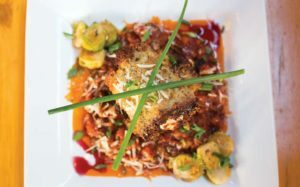 A popular spot for locals, this restaurant has started to attract quite a loyal following in the Puget Sound. 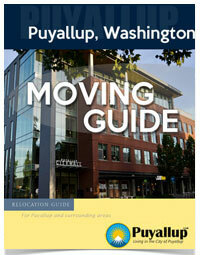 Enjoy a greek salad or gyro in a setting that makes you feel far away from Puyallup. There is also an intimate bar located in the restaurant. It is a small space inside, but the food and atmosphere lend itself to an intimate evening. It’s all Greek to Me also offers a full-service catering for holiday parties, weddings, corporate events and much more. The can provide a full-service linen menu, full-service bar menu, and a mobile kitchen. They have outdoor seating that is great during those lovely summer evenings. With locations in downtown and South Hill, Mazatlan is the place to get delicious Mexican food in Puyallup. With friendly service, you will feel welcomed from the moment you walk in. Enjoy chips and salsa while you wait for your entree. 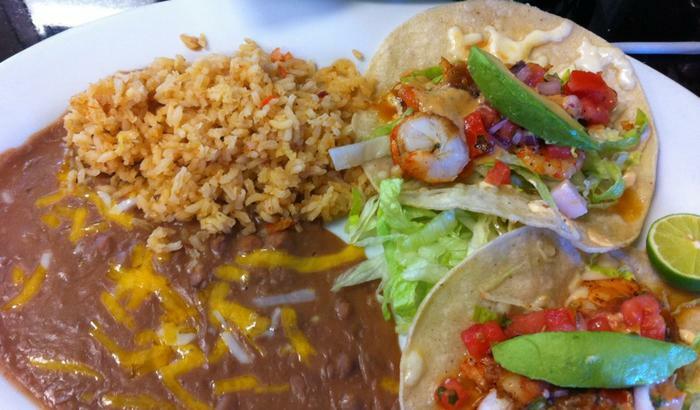 This restaurant offers the traditional Mexican fare like burritos, enchiladas, and tacos. The menu is also very reasonably priced with prices starting at around $7 and the combo plates are priced at around $12. This is a great place to celebrate with a larger group, but also works just as well for a cozy date night. Add your restaurant to his page? Contact Us.